Thrifty and Frugal Living: Buy One, Get One Free Entree at Smokey Bones! 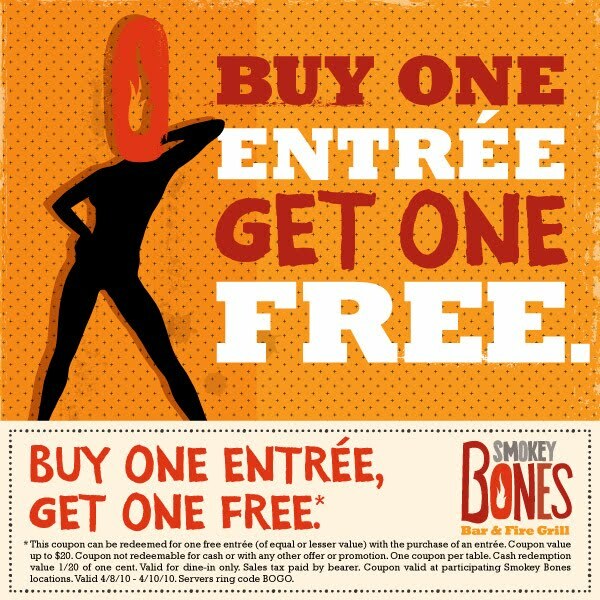 Buy One, Get One Free Entree at Smokey Bones! Go here to print the above coupon for Buy One Entree, Get One Free at Smokey Bones. Unfortunately, this is only good for 3 days! Value: up to $20. Expires 04/10/10. Happy FF! I am your newest follower! Please follow back whenever you get a chance, I think you'll enjoy my blog because I post freebies, coupons,and all things frugal, just like you!